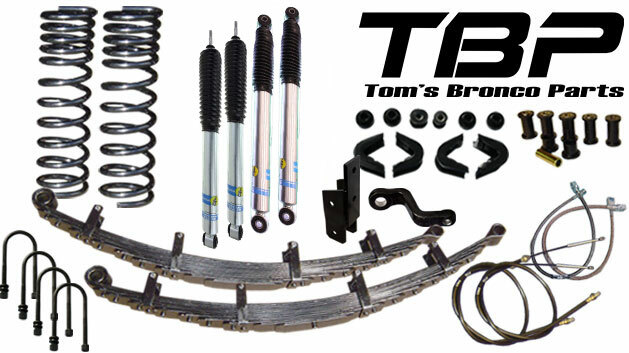 Suspension Lift Kit Tech: What you need to know about lifts. 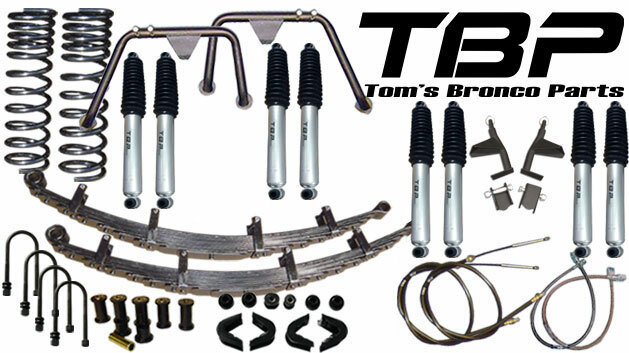 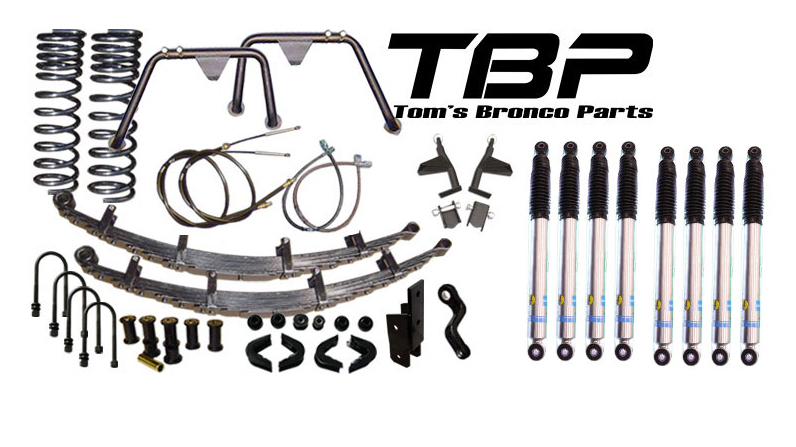 Our Early Bronco lift kits are available in stock height, 2.5" lift, 3.5" lift and 5.5" lift heights. 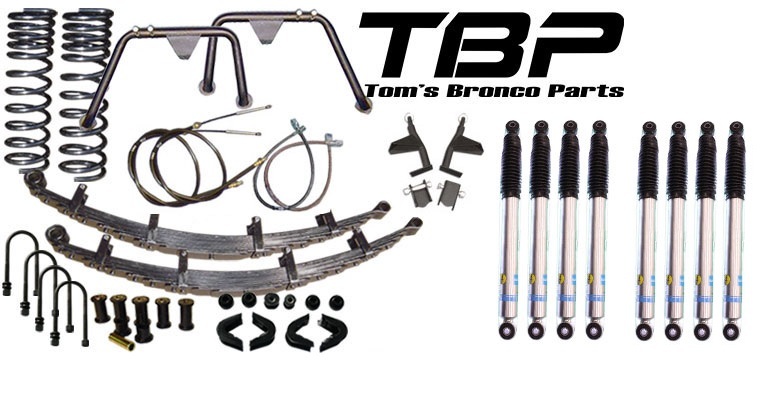 Many people get confused or are unaware about the parts needed when lifting a Bronco. 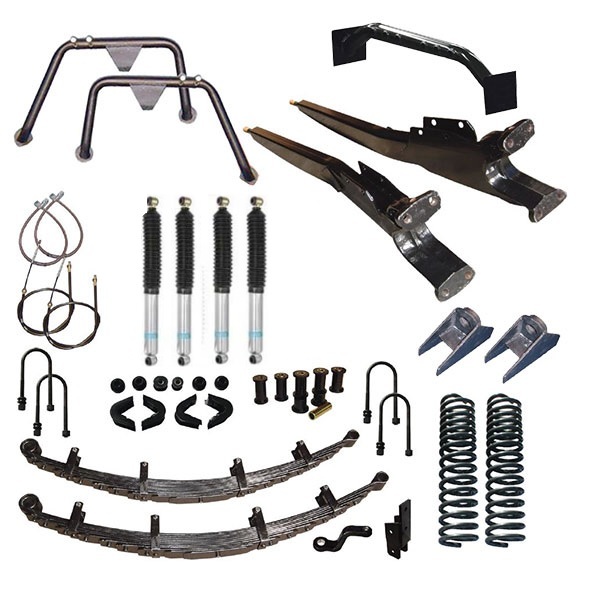 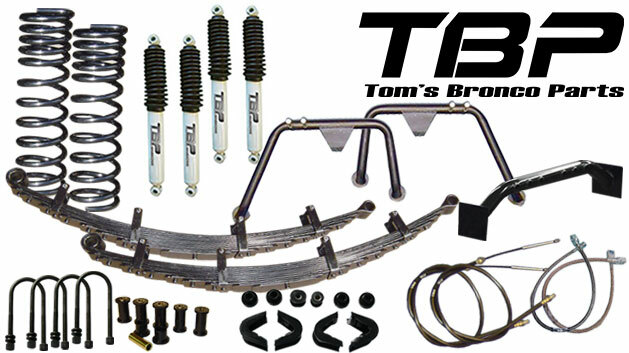 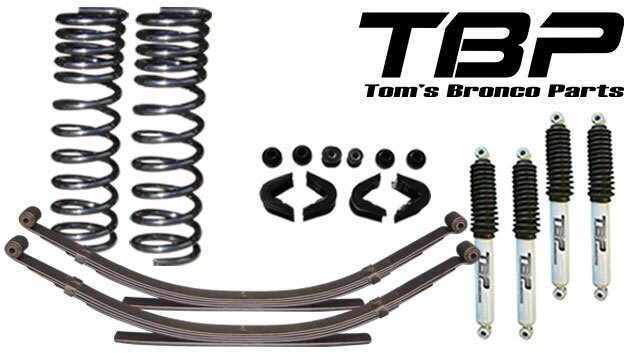 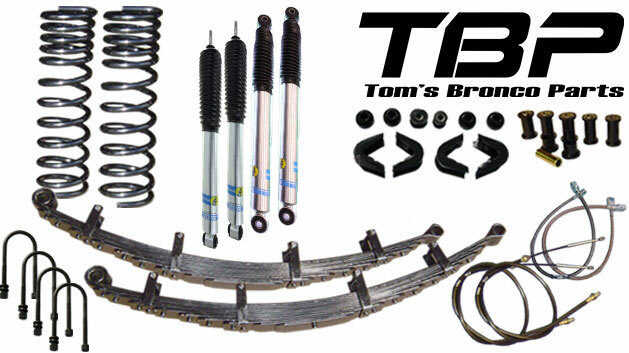 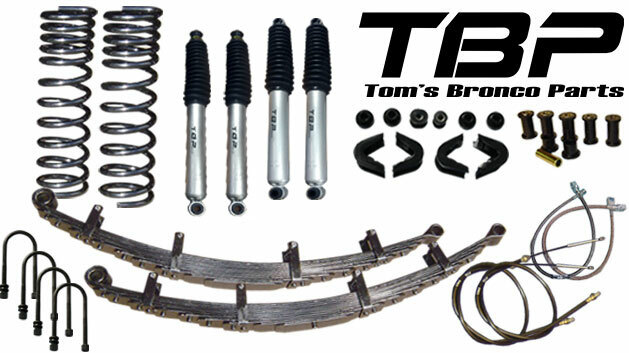 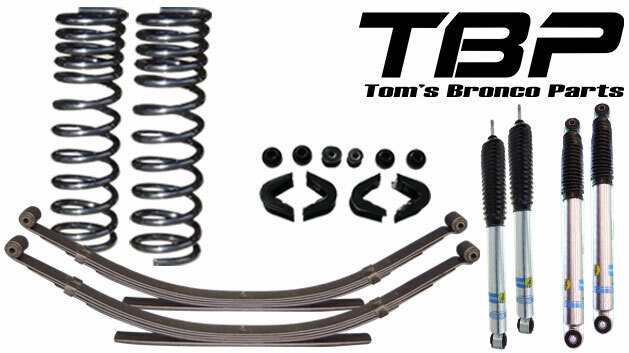 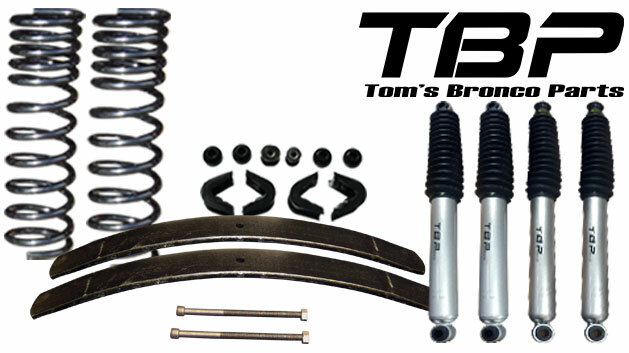 All of our kits include New Leaf Springs or Add-A-Leafs, Coil Springs, Degreed Front C-Bushing Kits with Radius Arm & Tracking Bar Bushings, and Shocks. 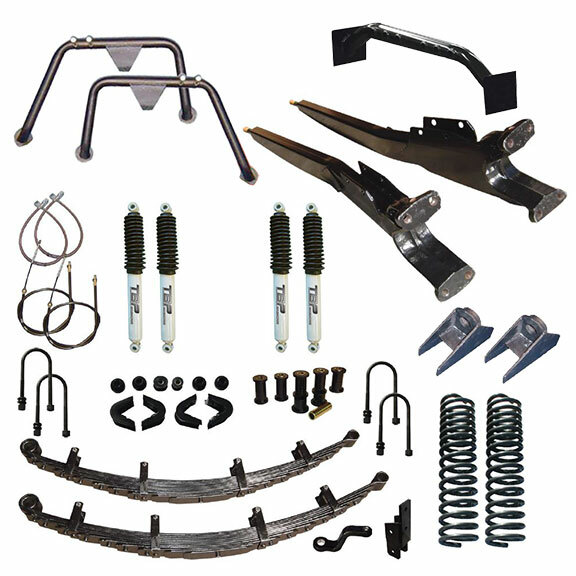 Depending on the lift, there are other items that can be necessary to install a lift correctly. 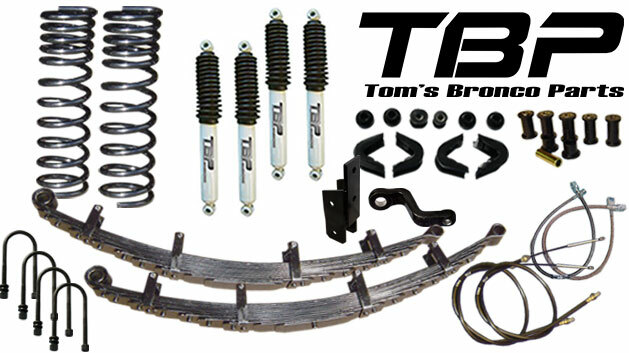 We have created our lift kits to include most of the necessary items needed to install the kit correctly. 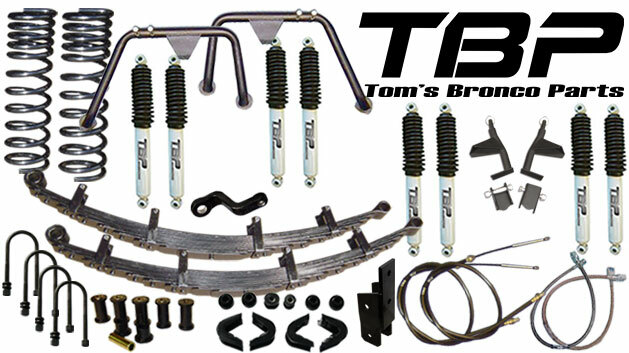 In the category description of each ride height, we have included detailed information of what parts are required and what parts are recommended for each particular lift. 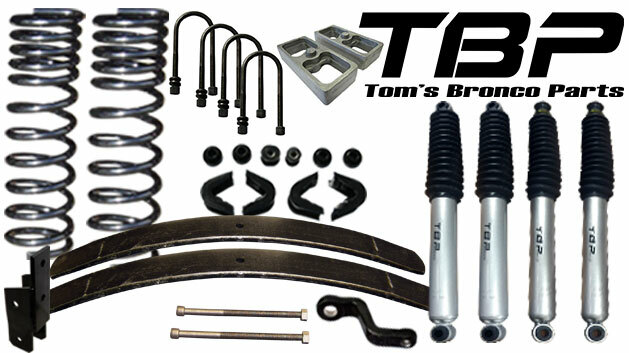 Please ensure you have accounted for these parts when ordering your lift.